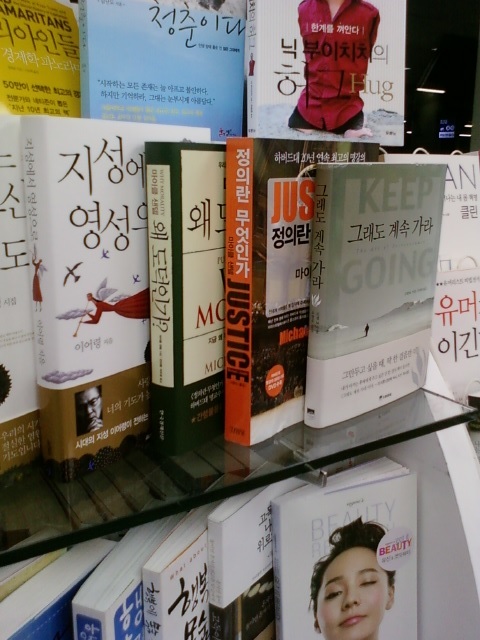 I mentioned the campaign to get Koreans to read in an earlier note. 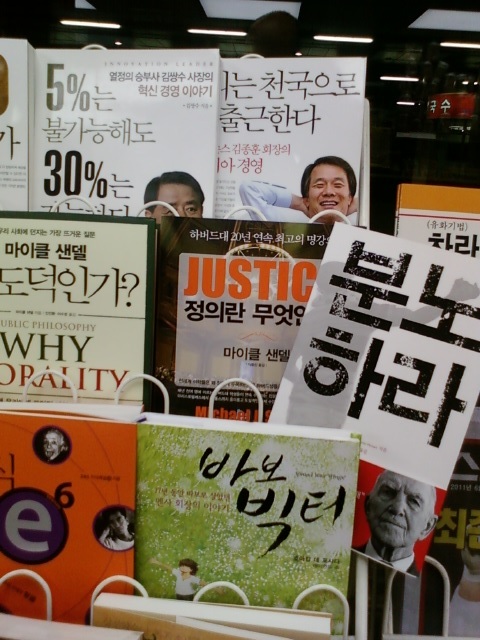 With the help of Professor Doh Jung-il and others, a consensus has formed that increasing the reading of books among citizens is the best way to take Korea to the next level. I must admit, the first efforts seemed to be a bit primitive and from an American perspective, unlikely to succeed. But I am amazed to say that the number of people reading I observe is increasing rapidly. Here are some photos from a convenience store in the Seoul Metro. 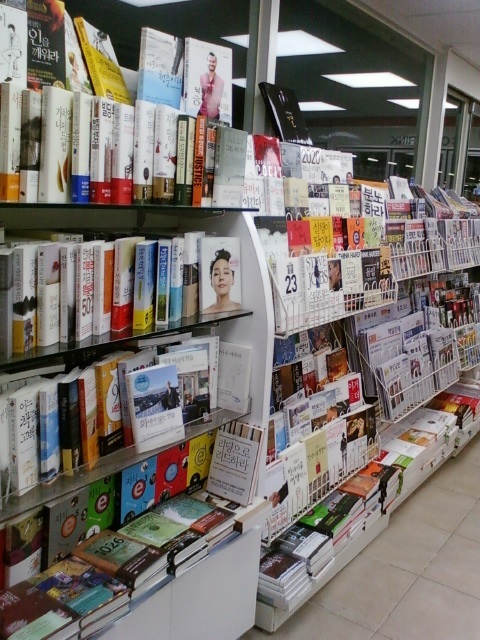 There was no such pile of books available in convenience stores even a year ago. Although imperfect, Korea seems to be able to set goals for national development in a manner that seems organic and convincing, and actually works. 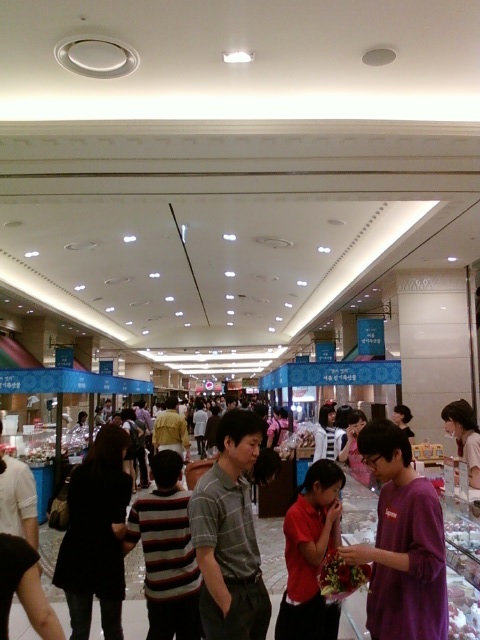 I remember that in the old days in Japan it was Takashima-ya in Yokohama that was the greatest department store in the world. What an assortment of foods and objects one saw when one wandered through its display cases. 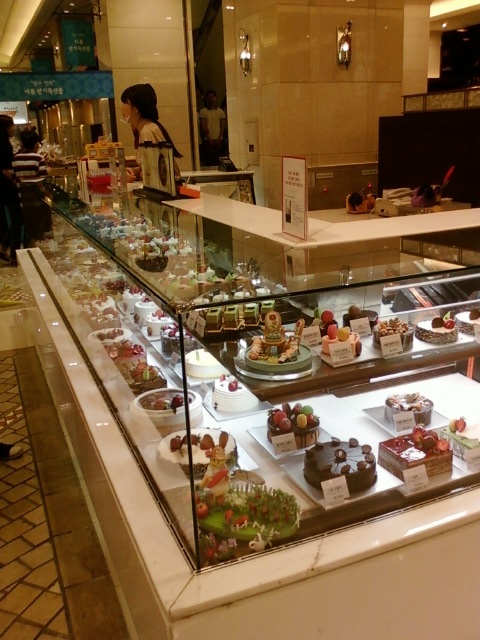 I recently had a chance to tour the Shinsegae Department Store in Gangnam, Seoul and I was impressed. The quality is as good as anything I have seen in Japan and in some ways the service even better. 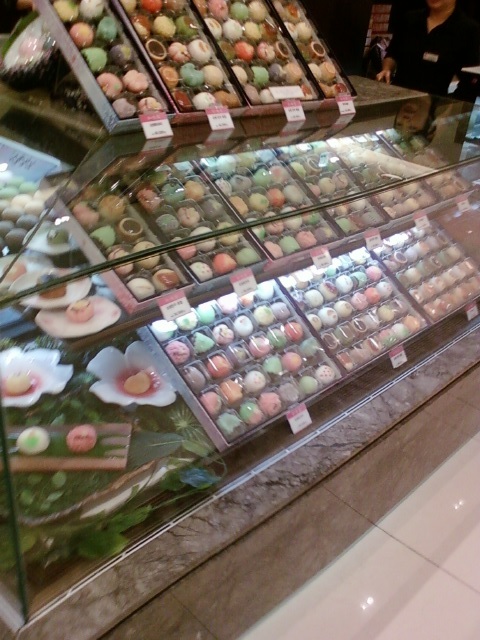 Here are a two pictures of the cakes and candies on display. One sees a rapid increase in languages around Seoul other than Korean and English. Here are two notable bits of signage. 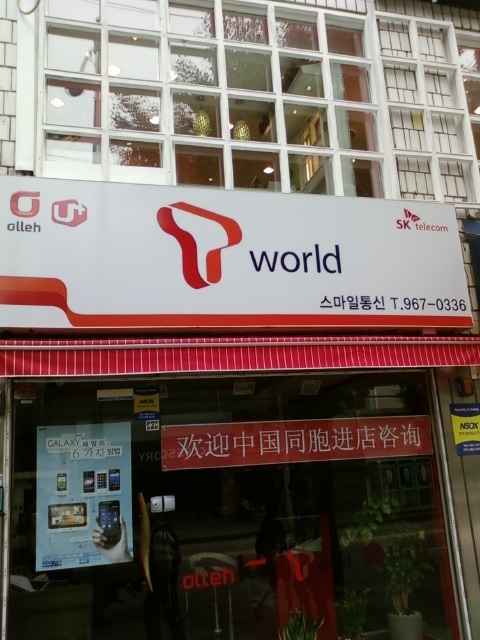 One is a mobile phone store with a sign in Chinese aimed at the increasing Chinese market in Korea. I am told that Chinese students have often more disposable income than Korean students at Korean universities. Have not conducted a study yet. The other sign is for an Indian culture event. The poster does not assume a readership of Hindi, or maybe it does. In any case, Koreans previously had no tolerance for the Hindi language. That environment is changing quite rapidly. Here is a portfolio of beautiful Daejeon. 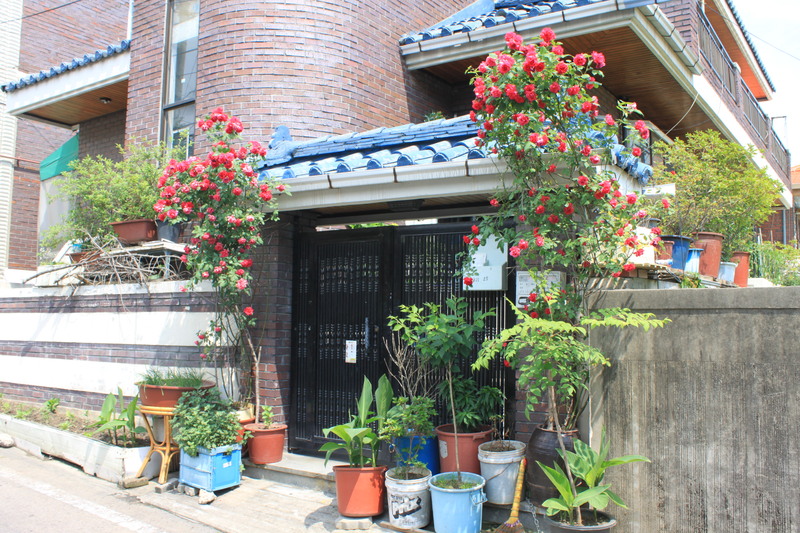 I took these photographs over a period of six months for use on the Daejeon Compass site. I think they represent well what makes the city exceptional. This interview with Daejeon News was an opportunity to put forth a few ideas about what Daejeon can be. I think the article, in Korean, gives a good summary of the ideas I was advocating at the time. 이것은 지난해부터 우송대 솔브릿지 국제경영대학 아시아연구소 소장을 맡고 있는 임마누엘 파스트라이쉬(한국명 이만열, 46)의 주장이다. Haechi started as a mythical beast guarding the Gyeongbokgung Palace and has evolved into a city Mascot, superhero and lovable friend who sings songs with Girls’ Generation. The progress is remarkable. The four years that I spent in Daejeon were a remarkable experience. Among the various projects, I derived immeasurable pleasure from various projects aimed at raising Daejeon’s cultural profile. Some of that effort was related to work with the Daejeon Metropolitan City government, but much was spontaneous, growing from my friendship with the artist Yoo Dongjo or my talks with my students. Friends from Daeheung Dong district of Daejeon–where the artists gather–gave many ideas. Daejeon means literally a “large field” and refers to to the fertile basin surrounded by mountains that makes up the city. Originally, the cultural centers of the area were around the two Confucian scholarly communities, one in the north in Hoedeok and one to the south in Jinjam. The building of the railroad station in the center and the creation of an artificial new town in the 1920s called Daejeon obscured much of those origins. Here is an article regarding the release of my two new books, The Observabale Mundane and The Novels of Park Jiwon, which was published in the Korea Herald on June 27. An American professor has brought the classical novels of the novelist Park Ji-won of the Joseon period onto the global stage by translating ten short stories into English. 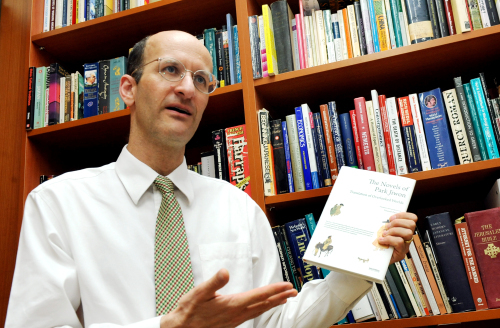 Emanuel Pastreich, who goes by the Korean name Lee Man-yeol, recently published two books in English with Seoul National University Press: “The Novels of Park Jiwon” and “The Observable Mundane, a study of Japanese Chinese novels. He expanded parts of his dissertation on how Chinese vernacular literature impacted Korean and Japanese literature and expanded it into two separate books. Our deepest sorrows go to those people and their families who are suffering from the Tohoku-Chihou-Taiheiyo-Oki Earthquake and tsunami that struck our nation on March 11th. Furthermore, I deeply apologize for the distress and inconvenience to those residing in the surrounding areas of the power station, Fukushima Prefecture as well as broader society due to the extensive damage our facilities sustained at Fukushima Daiichi Nuclear Power Station and the rolling blackouts. We had little choice but to implement such measures on account of the tight supply-demand balance of electricity. This article I originally wrote for the Asia-Pacific Business and Technology Report in September 2009. The publisher of that magazine, Dr. Lakhvinder Singh, is a good friend of mine. The article is based on a paper I presented at the International Green Growth Forum sponsored by the Korean Ministry of the Environment. On the campaign trail, Barack Obama made it clear that the environment and alternative energy would be central pillars of his administration. He has since put great effort into promoting an innovative approach to resolving environmental and energy issues, maintaining a focus on a matrix of innovation and policy reform for lowering emissions and reducing dependency on foreign energy supplies, even in the face of cries to address healthcare and economic growth first. Although inertia and political realities have slowed down some parts of the program, reinventing the United States economy and re-imagining the American economy remain important themes.